"Cornerstones of a Forward-looking Regulatory Framework – How to Foster Investment and Innovation"
Abstract: Liberalisation in the extremely dynamic telecommunications sector took place against the background of the conclusion that competitive systems are more easily capable of adapting and innovating than monopolies. Companies that need to fear competition are also facing cost pressure, requiring them to be more efficient. Thus telecommunications liberalisation was founded from the start not only on allocative but also on dynamic advantages. Considering the development of productivity, prices and diversity of services since the telecommunications sectors liberalisation, these assumptions have proven themselves as correct. Price reductions and innovations for telecommunications services like what we have seen in the last decade, which have only been possible because we now have competition, benefit the economy as a whole. Some markets, the online businesses for example, have become possible only because of the innovative power of the telecommunications markets. There are also indirect ramifications on businesses, which are on first look unrelated. eCommerce has helped bolster the logistic sectors turnover. The main goal of regulation, enabling and strengthening competition, has proven its worth over and over again. It is expected, that a regulatory framework that is aligned with competition as a goal yields the best economical performance and at the same time furthers efficient investments in mobile and fixed broadband. Biography: Matthias Kurth is the President of the Federal Network Agency for Electricity, Gas, Telecommunications, Post and Railway (BNetzA), which is the federal regulatory authority for Telecommunications and Posts related regulations in Germany. He graduated in Law and Economics from the Frankfurt am Main University, and received the postgraduate legal training in the administration of justice of the state of Hesse. Mr. Kurth has had a long and distinguished career in Germany both on the state and federal levels. Before his appointment to the presidency of BNetzA in 2001, he served as Vice President in BNetzA (2000-2001) and earlier in a number of different positions on regulatory and economic development. "Dynamic Spectrum Access Policy in the US"
Abstract: This talk will concentrate on the recent spectrum policy directions that have emerged since the introduction of the National Broadband Plan. While the focus will be on dynamic spectrum access, we also consider spectrum policy more broadly, specifically the directions that the US government is considering to enable the availability of additional spectrum for broadband services. Biography: Douglas Sicker is the FCC’s Chief Technologist. Although based in OSP, he reports directly to the Chairman and works on issues that span the bureaus. He has held various positions in academia, industry and government. In addition to his role here at the FCC, he is an associate professor in the Department of Computer Science at the University of Colorado at Boulder with a joint appointment in the Interdisciplinary Telecommunications Program. Previously, he served as a senior advisor on the FCC National Broadband Plan and, before that, as Director of Global Architecture at Level 3 Communications, Inc. Earlier still, Dr. Sicker served as Chief of the Network Technology Division here at the FCC. After leaving this agency, he served as Chair of the Network Reliability and Interoperability Council steering committee, an FCC federal advisory committee that focuses on network reliability, wireline spectral integrity and Internet peering and interconnection. He also served on the Technical Advisory Council of the FCC. 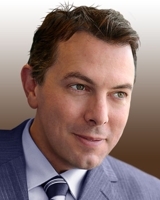 In addition, he has also held faculty and industry positions in the field of medical sciences. Dr. Sicker is a senior member of the IEEE, as well as a member of the ACM and the Internet Society. He has chaired and served on the program committees of numerous technical conferences including IEEE, DySPAN, ISART and TPRC. His research interests include network and wireless systems, network security, and telecommunications policy. He has research funded through the NSF, DARPA, the Internet Society and the Federal Aviation Administration. He holds a Ph.D. from the University of Pittsburgh. A full CV is available on his faculty page at the University of Colorado at Boulder. "Radio Spectrum and Innovation: Realising the Potential"
Abstract: It might seem that more innovation is happening in apps than in spectrum. But if Cooper's Law is to be believed, the use of radio spectrum is doubling every 30 months. Keeping up this pace means that regulatory liberalisation has to match advances in technology and new applications. How will this be possible? What kind of devices, services applications and demand will there be? Where might innovation happen, and how big will the impact be? What kind of innovation in regulation and business models will we need? What are the pitfalls along the way? Biography: David Cleevely (FREng, FIET) is the Chairman of CRFS, which he co-founded in July 2007, and the founder and former Chairman of telecoms consultancy Analysys (acquired by Datatec International in 2004). In 1998, he co-founded the web based antibody company Abcam (ABC.L) with Jonathan Milner and was Chairman until November 2009. In late 2004 he co-founded the 3G femto base station company, 3WayNetworks, which was sold to Airvana in April 2007. 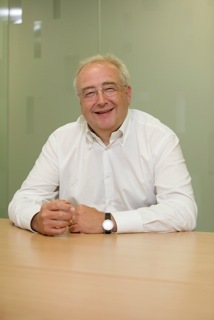 He has been a prime mover behind Cambridge Network, co-founder of Cambridge Wireless, co-founder and Chairman of Cambridge Angels and is a member of the IET Telecoms Sector Panel. For 8 years until March 2009 he was a member of the Ofcom Spectrum Advisory Board. From 2001 to 2008 he was a member of the Ministry of Defence Board overseeing information systems and services (DES-ISS, formerly the Defence Communications Services Agency). After being sponsored to study Cybernetics at Reading by Post Office Telecommunications, he joined their Long Range Studies Division. A PhD at Cambridge was then followed by the Economist Intelligence Unit in London. He is a Fellow of the Royal Academy of Engineering and the IET and he has recently held an Industrial Fellowship at the University of Cambridge Computer Laboratory. He was recently appointed the Founding Director and Executive Committee Member of the Centre for Science and Policy, University of Cambridge. Biography: Pearse O'Donohue is responsible for the development and implementation of policies for efficient spectrum use and a coordinated approach to frequency management in the EU. This also involves the development of spectrum harmonisation measures in the electronic communications field and in other internal market sectors such as transport and research. He is Chairman of the EU Radio Spectrum Committee. 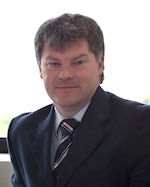 Prior to taking over his current post in June 2008, Pearse O'Donohue was the Assistant to the Director-General of DG INFSO (Information Society and Media). Before that, he was Deputy Head of the Unit responsible for monitoring and enforcing implementation of the EU regulatory framework in electronic communications, where he dealt amongst other things with spectrum authorisation and broadband access issues. Pearse O'Donohue began his career in the Irish Department of Foreign Affairs, from which he was posted to the Permanent Representation of Ireland to the EU in Brussels. 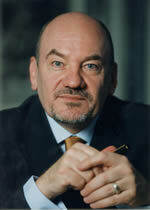 In 1991 he was appointed Assistant Director of the Brussels office of the Irish Business & Employers' Confederation. In 1995 he joined the European Commission and subsequently became adviser to the Commissioner for Social Policy and Employment. "Emerging U.S. Spectrum Policy and the Road to Innovation"
Abstract: In the last two years, the President of the United States and the U.S. National Broadband Plan have elevated the importance of spectrum policy to new heights, embraced ambitious goals for progress, and proposed consideration of new and sometimes controversial approaches intended to improve spectral efficiency. This will produce a period of opportunity for advances in dynamic spectrum sharing. Indeed, while there have been times when spectrum policymakers have been slow to adopt new ideas from the research community, the research community may now find it challenging to keep up with the needs of spectrum policymakers for rapid progress. Meeting objectives for efficient use of spectrum will require advances in an already-complex innovation process, where putting concepts into practice often includes theoretical technical and policy research, extensive and transparent experimentation, standardization, changes in regulation, and changes in enforcement mechanisms, all before a single device can be deployed. Biography: Jon M. Peha is serving as Assistant Director of the White House Office of Science and Technology Policy for Communications and Research issues, and before that he was the Chief Technologist of the U.S. Federal Communications Commission. He is also a Full Professor at Carnegie Mellon University in the Department ofElectrical & Computer Engineering and the Department of Engineering & Public Policy, and former Associate Director of the university's Center for Wireless and Broadband Networking. He has been Chief Technical Officer of three high-tech start-ups, and a member of technical staff at SRI International, AT&T Bell Laboratories, and Microsoft. He has also addressed telecom and e-commerce issues on legislative staff in both the House and Senate of the U.S. Congress, and helped launch a US Government interagency program to assist developing countries with information infrastructure. 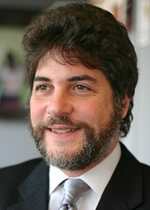 His research spans technical and policy issues of communications networks, including spectrum management, broadband Internet, wireless networks, video and voice over IP, communications for emergency responders, universal service, secure Internet payment systems, dissemination of copyrighted material, e-commerce, and network security. He holds a Ph.D. in electrical engineering from Stanford, and a B.Sc. from Brown. "Spectrum and Infrastructure Virtualization for Next Next-Gen Cellular Networks"
Abstract: With the 260%/year growth of mobile traffic in recent years, cellular operators world-wide have begun deploying new wideband access technologies (such as 4G LTE) along with small cells. Each operator must also increase the amount of spectrum used in its network to keep pace with the traffic. By some estimates, a total of 1.2 - 1.7 GHz is needed to deal with the expected traffic load. However, finding new spectrum, a scarce resource, will be difficult. The cost of infrastructure deployment and operations are additional serious issues. When a resource is expensive and/or scarce, the most common solution is the concept of dynamic sharing among multiple interested entities. We believe that advances in key areas (such as RF processing in software, virtualization technologies, wideband digital radios and near real-time network monitoring) will enable sharing of spectrum and infrastructure virtualization, in a way similar to the virtualization and cloud revolutions in the computing industry. This talk will highlight current Bell Labs programs that will enable dynamic sharing. It will also briefly touch on the regulatory steps necessary to ensure a smooth evolution. 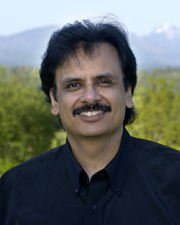 Biography: Krishan Sabnani is currently Vice President of Networking Research at Bell Labs. He manages all networking research in Bell Labs, comprising nine departments in six countries: USA, France, Germany, Ireland, India, and Belgium. Krishan has conceived and launched numerous systems projects in the areas of internetworking and wireless networking. His successful transfers of research ideas to products in Alcatel-Lucent and (previously) AT&T business units have had a major positive impact on the business. Krishan has also conducted extensive personal research in data and wireless networking. His contributions have played a major role in modern mobile networks, and his recent breakthrough re-engineering of routers has launched a revolution in network designs. Krishan received the 2005 IEEE Eric E. Sumner Award and the 2005 IEEE W. Wallace McDowell Award. He is a Bell Labs Fellow and a Fellow of the Institute of Electrical and Electronic Engineers (IEEE) and the Association of Computing Machinery (ACM). He received the Leonard G. Abraham Prize Paper Award from the IEEE Communications Society in 1991 and the 2005 Distinguished Alumni Award from the Indian Institute of Technology, New Delhi, India. He also won the Thomas Alva Patent Award from the R&D Council of New Jersey in 2005, 2009, and 2010. He holds 40 patents and has published more than 70 papers. Krishan received his B. Tech. in electrical engineering from IIT Delhi in 1975, and a Ph.D. in electrical engineering from Columbia University, New York, in 1981. He joined Bell Labs in 1981. "The Promises and Challenges of the Wireless Frontier - from 600 MHz to 60 GHz"
Abstract: This is a great time to be a wireless researcher. Even though hundreds of wireless networking papers in dozens of conferences and journals are published every year, there is still a lot to do. We continue to discover compelling new scenarios that require wireless connectivity that is difficult to deliver. Policy makers and engineers who came together to enable a world of wireless connectivity in public places, large enterprises, and communities, are now coming together to enable connectivity in automobiles, hospitals, data centers and cell networks. In this talk, I will describe the rapidly changing landscape of the wireless frontier - discussing promising new directions in cognitive systems and opportunistic networks design. The problems we face need emerging technologies such as software defined radios, full-duplex radios, and multi-gigabit radios that operate in frequencies ranging from 600 MHz to 60 GHz. These problems will force us to continuously re-evaluate policies that come in the way of engineering. I will highlight some problems and discuss solutions that researchers have been developing. I will challenge the audience into taking on technical problems while thinking about associated policy changes and business models. My hope is that after listening to this talk, policy makers, scientists, engineers, students and entrepreneurs will agree that the wireless frontier is exciting and it is a great time to be a wireless researcher. Biography: Victor Bahl is a Principal Researcher and the Founding Director of the Mobile Computing Research Center (MCRC). Formed in Jan. 2011, MCRC’s mission is to make Microsoft’s mobile devices indispensible to the world. The center engages in basic and applied multi-disciplinary research, builds proof-of-concept systems, engages with academia, publishes papers in prestigious conferences and journals, publishes software for the research community, and streamlines the transfer of cutting- edge technologies from MSR Labs world-wide to Microsoft’s product divisions. Prior to MCRC, Victor founded the Networking Research Group and served as its manager for 8 years. He continues to help shape Microsoft's long-term vision related to networking technologies through research and associated policy engagement with governments and institutions around the world. His personal research interests span a variety of topics in mobile networking, wireless systems design, datacenter networking, and enterprise networking & management. 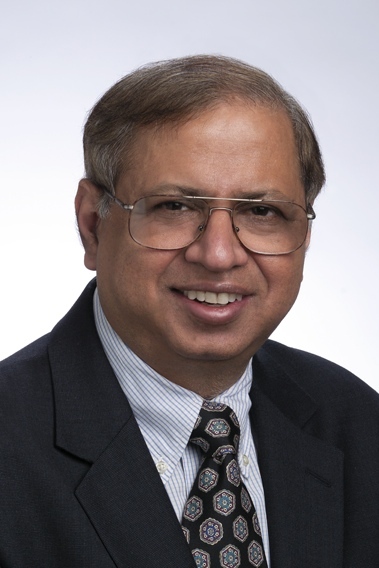 He has authored over 110 peer-reviewed papers and 120 patent applications, 76 of which have issued; he has won best paper awards at SIGCOMM and CoNext and has delivered over two dozen keynote & plenary talks; he is the founder and past Chairperson of ACM SIGMOBILE, the founder and steering committee chair of the MobiSys; and the founder and past Editor-in-Chief of ACM Mobile Computing and Communications Review. He has served as the General Chair of several IEEE and ACM conferences including SIGCOMM and MobiCom, and is serving on the steering committees of seven IEEE & ACM conferences & workshop, several of which he co-founded. He has served on the board of over half-a-dozen journals; on several NSF, NRC and FCC panels, and on over six dozen program committees. He became an ACM Fellow in 2003, an IEEE Fellow in 2008 and a AAAS Fellow in 2010.